The 2015 Leonid meteor shower will peak during the early morning hours of Tuesday, November 17, 2015, and Wednesday, November 18, 2015, which is predicted to produce up to 15 meteors per hour this year. The Leonid meteor shower is active every year from November 5th through the 30th. Around 3 hours before sunrise at the viewer's location, the Leonid meteor shower should be visible from any populated area on Earth with clear dark skies. However, Northern Hemisphere observers will have more favorable viewing because the radiant's location in the constellation Leo. According to Accuweather.com, the southern half of the Florida peninsula should have clear skies, including Florida's Space Coast. For optimal viewing, find an open sky, lie on the ground, and look straight up into the dark sky. It is important to be far away from artificial lights. Your eyes can take up to 30 minutes to adjust to the darkness, so allow plenty of time for your eyes to dark-adapt. A waning crescent moon this year will produce less light to wash out the meteor shower spectacle. 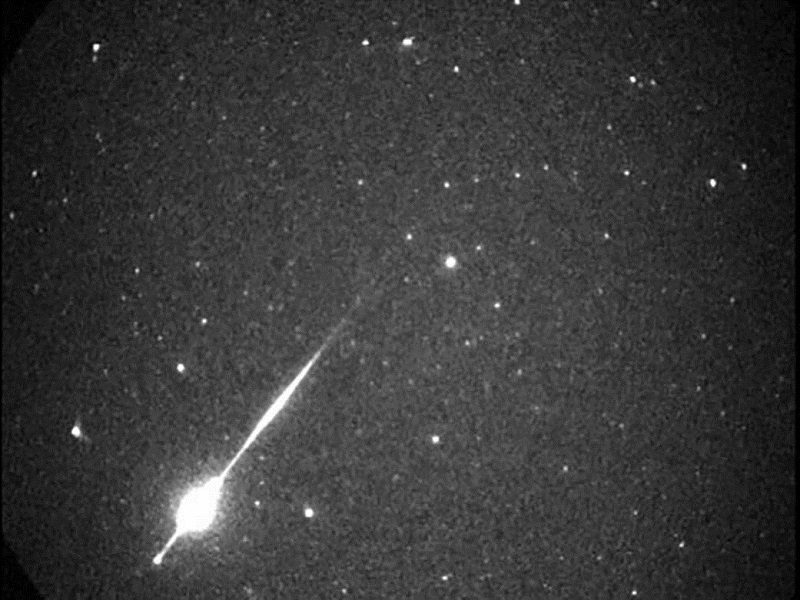 Where does the Leonid Meteor Shower come from? Leonids are made up of bits of debris from the Comet Tempel-Tuttle. Every 33 years, this comet visits the inner solar system and leaves a stream of dusty debris in its orbital track. Many of these debris streams have drifted across the November portion of Earth's orbit. Whenever the Earth hits one of these streams, meteors appear to be flying out of the constellation Leo.